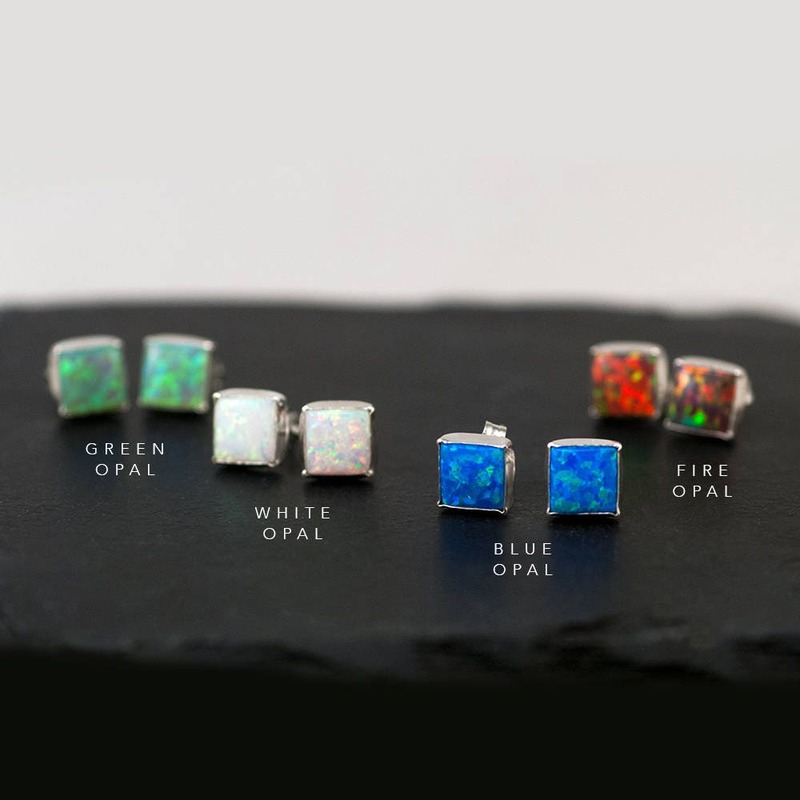 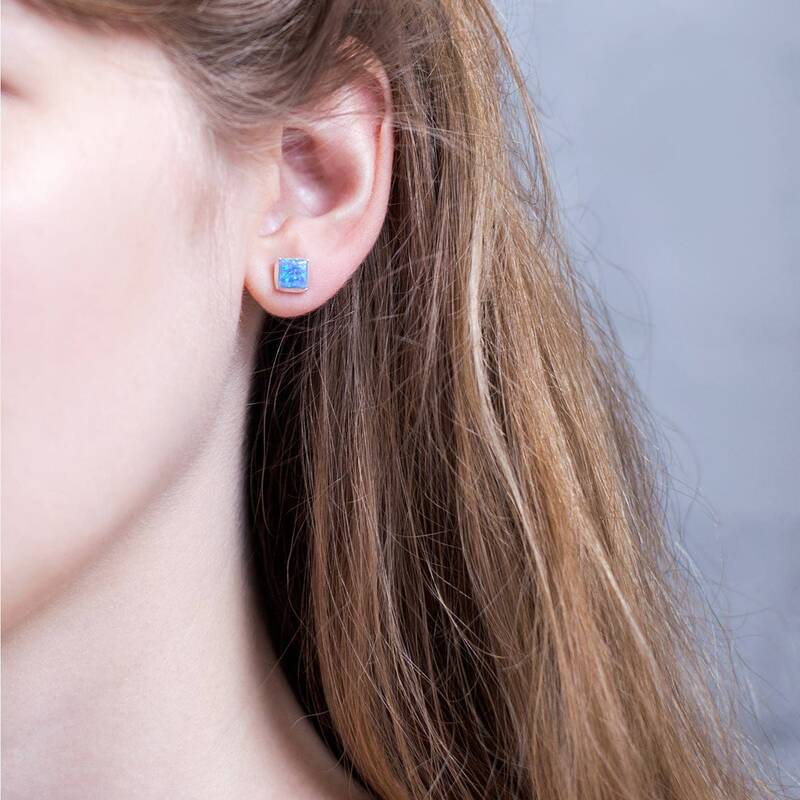 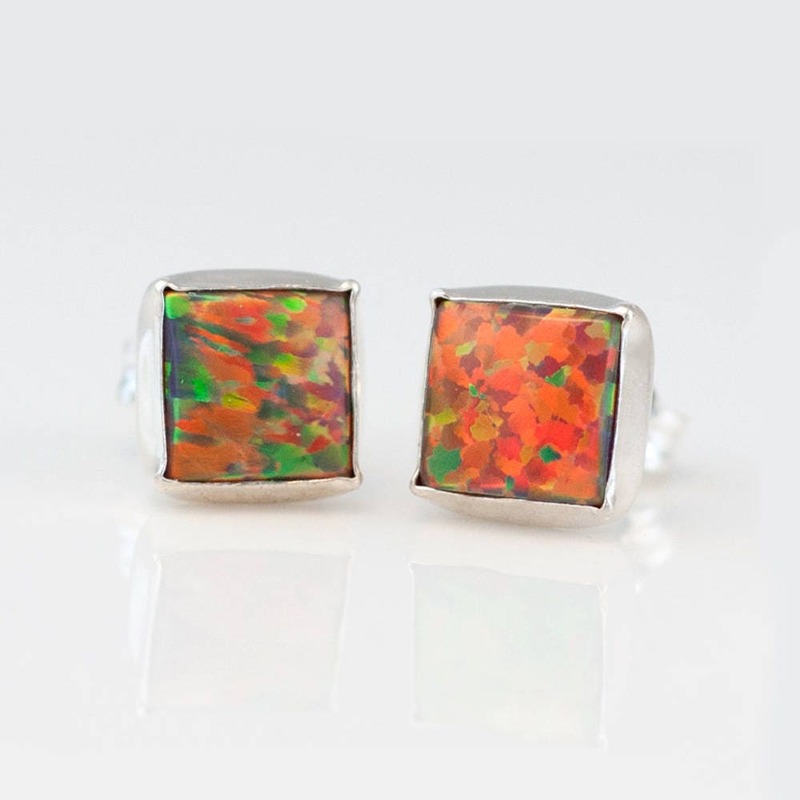 These simple Sterling Silver synthetic opal studs add the perfect pop of color to your everyday look! 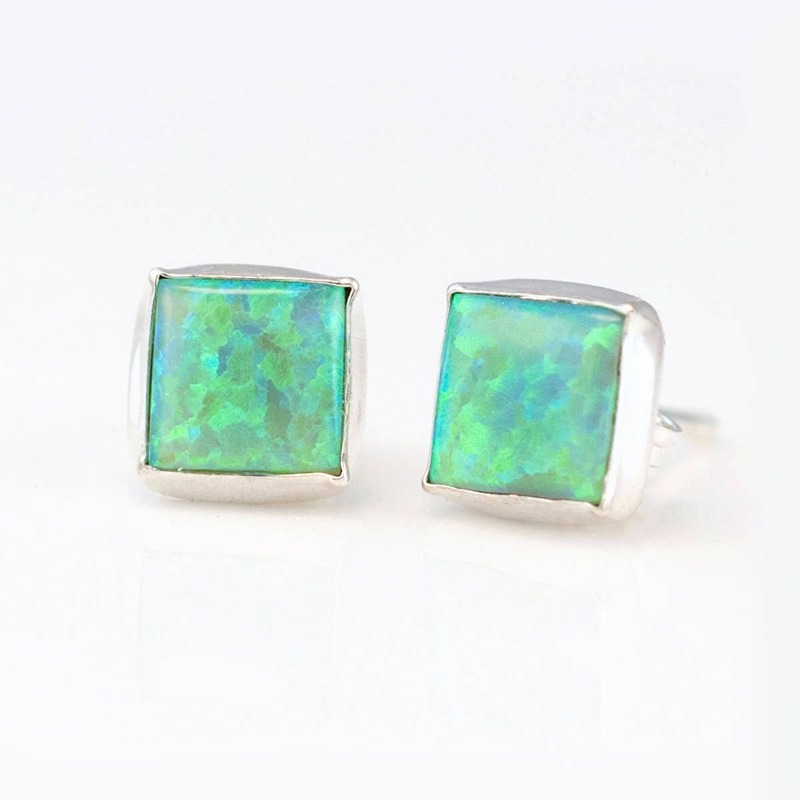 Each opal stone is unlike the other, with various hues of oranges, blues & greens. 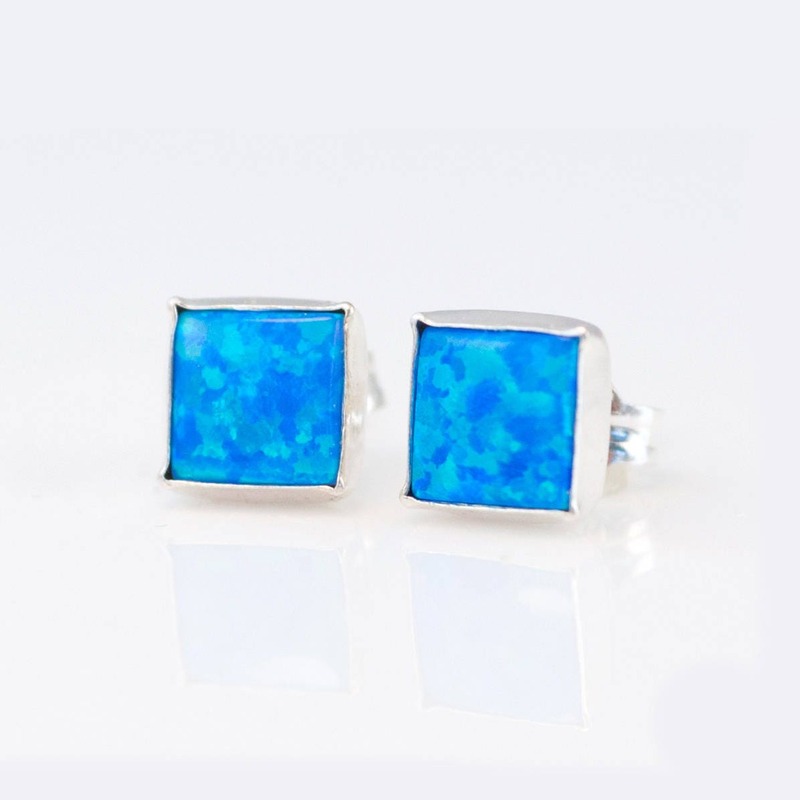 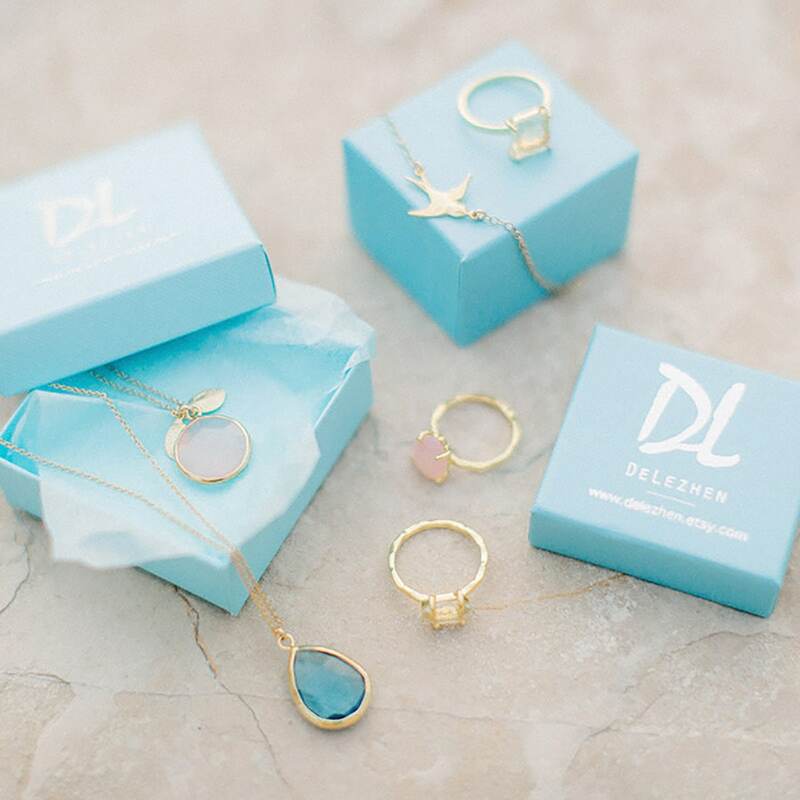 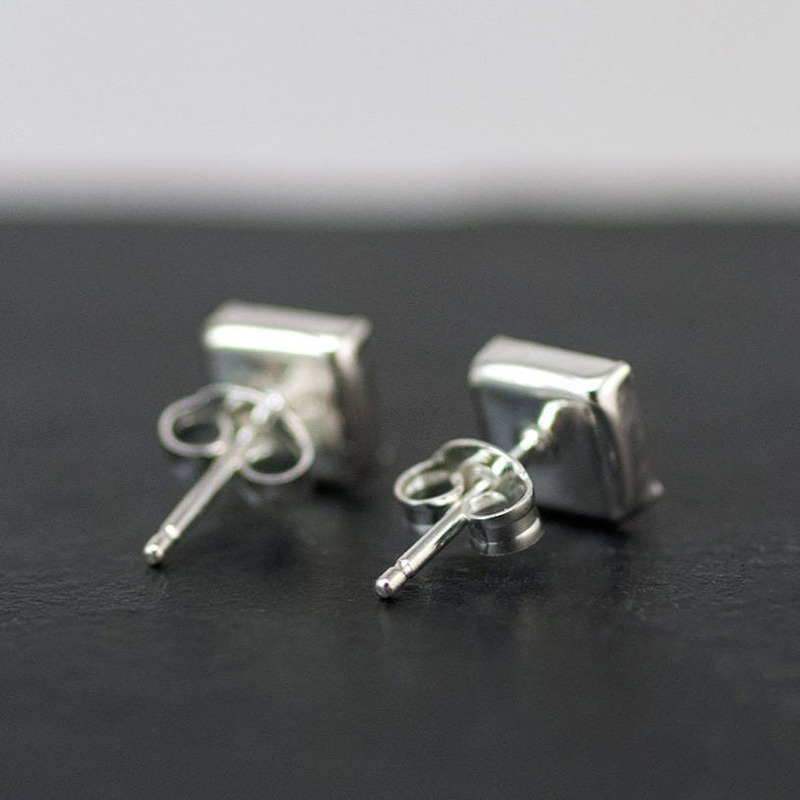 Available in 5 different color options, these earrings make ideal gifts!